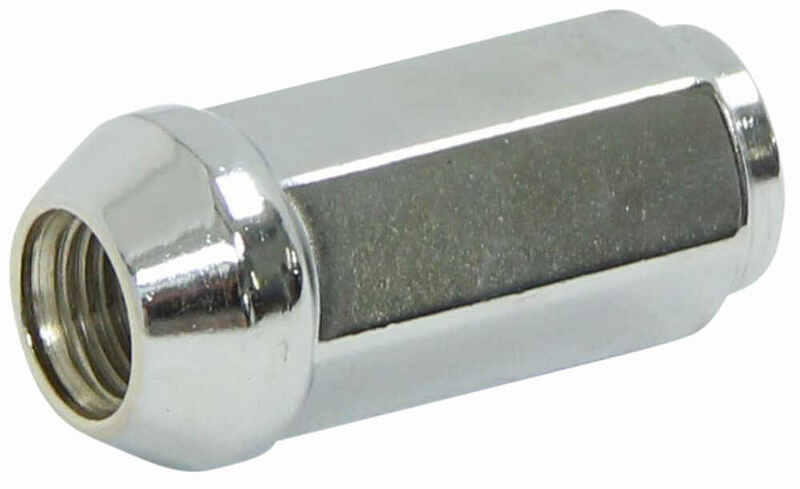 Trailer Wheel Lug Nut - 9/16"
Trailer wheel lug nut fits 1/2" diameter wheel bolts and is chrome plated for durability and corrosion resistance. Call 800-298-8924 to order Redline accessories and parts part number 12CLN-L or order online at etrailer.com. Free expert support on all Redline products. Guaranteed Lowest Price and Fastest Shipping for Chrome Trailer Wheel Lug Nut - 1/2" - Qty 1. Accessories and Parts reviews from real customers. 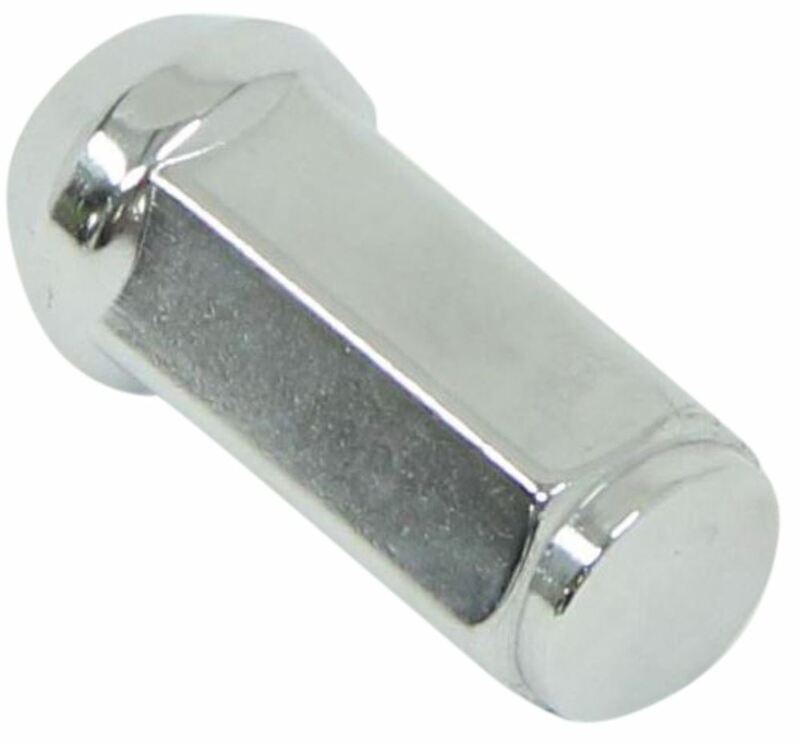 Trailer wheel lug nut fits 1/2" diameter wheel bolts and is chrome plated for durability and corrosion resistance. Today we're going to review part number 12CLN-L. This is the 1/2 Inch by 20 Chrome Trailer Wheel Lug Nut. Now this lug nut is designed to fit 1/2 inch by 20 bolts and basically that means the diameter of the bolt is a half inch, and it has 20 threads per inch. If you notice, this lug bolt also has a 60 degree cone on it, and that's designed to fit the 60 degree taper on the wheel. Overall length on this lug nut, this is an extra long, so it's about 1 and 7/8 inches long, and it does require a hex head size or a socket size of 3/4 of an inch. I happen to have a deep well 3/4 socket here, and you can see it fits on perfectly. Also on most aftermarket lugs you can see they do stamp the size on the lug, itself, to let you know the size of it, 1/2 inch by 20. Now I just want to show you, you can use these on your normal trailer wheel. 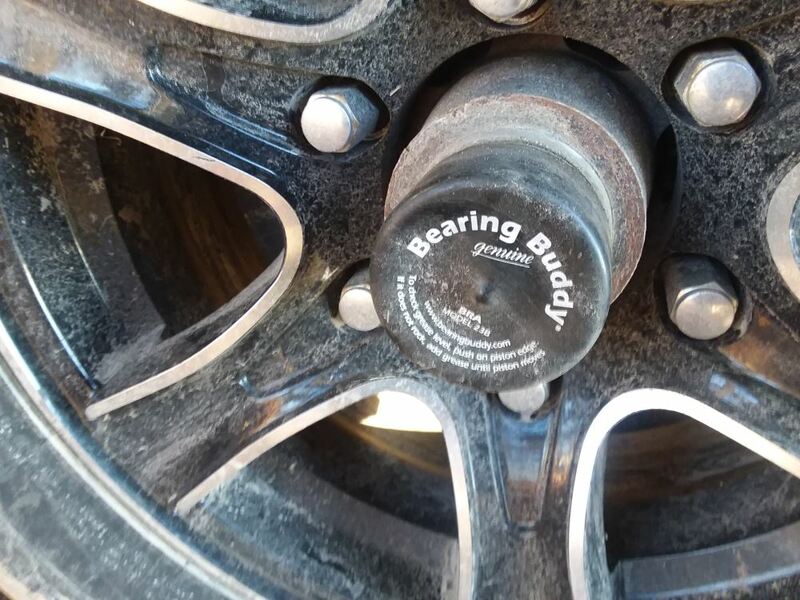 Sort of move out a little bit, and normally your trailer wheels will come with just this small open end lug nut to hold the wheel into place. You can go to these longer lugs and you can see it gives you more to grip onto with your socket, and they are closed end. The other nice thing about these longer lug nuts like this, is a lot of your aluminum wheels, your aftermarket, nice aluminum wheels, they have a, where the lugs are, they have a very deep access to get to the lug and lots of times when you use just the standard little bitty lug, when it falls in there it's hard to get to and sometimes it's too wide, so the socket won't fit in there. So what it is recommended, is on a lot of the aluminum wheels, is to go to a longer lug like this, that'll drop into that, and this part will pretty much be almost flush to the top. Then it's only a 3/4 inch hex head size so your socket can usually get in there and access it. But that should do it for the review on part number 12CLN-L, 1/2 Inch by 20 Chrome Trailer Wheel Lug Nut. .
Order: RelevanceNewestRating - High to LowRating - Low to High Trailer wheel lug nut fits 1/2" diameter wheel bolts and is chrome plated for durability and corrosion resistance. It has been a year and these lugs are working perfectly. Great product at a great price. The wheel lug nuts still look like new after a year of use. I just recently removed them to besure that they didnt rust onto the bolt and they all came off easy. Put a couple s of oil back on the bolt and retighten the lug nuts. not good plating, they are rusting badly . The only difference between the 1/2 Inch Lug Nut, # 12CLN and # 12CLN-L is the length of each. Both are bulge style which means they have a 60 degree tapered end. The inside depth of 12CLN is 1-1/4 inches. The inside depth of 12CLN-L is 1-3/4 inches. We have the Americana Trailer Wheel Lug Nut - 7/8" Diameter - Stainless Steel - 1/2" - 20 # AM90070 which have the same look, threading, and outer diameter. The length of the nut is the only difference. Your current lug nuts are 1-7/8 inches and what we carry are 2-3/32 inches so they are a little over 1/4 inch longer. That won't be extremely noticeable and will allow you to use the same lug wrench. We do offer a longer 1/2-inch diameter 20-TPI lug nut, part # AM90070 from Americana, but this nut's overall length is 2-3/32-inches, a bit short of your existing 2-1/2-inch lug nuts. This is currently the longest such item offered in your required 1/2-inch diameter and 20-thread-per-inch thread pitch. Based on the size you listed you would want to use the Chrome Trailer Wheel Lug Nut # 12CLN-L that you referenced. The 1/2 of the size you listed indicates it's for a 1/2 inch stud and the RHT stands for right hand thread. Other than some slight cosmetic differences, functionally speaking both lug nuts you mentioned are identical. Both will fit a 1/2 inch wheel stud with a 20 threads/inch thread pitch, and can be tightened or loosened with a 3/4 inch lug wrench. The overall length of the Chrome Trailer Wheel Lug Nut - 1/2 inch, item # 12CLN, is 1.364 inches. The overall depth of the lug nut from the farthest out part of the lugnut to the deepest point inside is 1.25 inches. 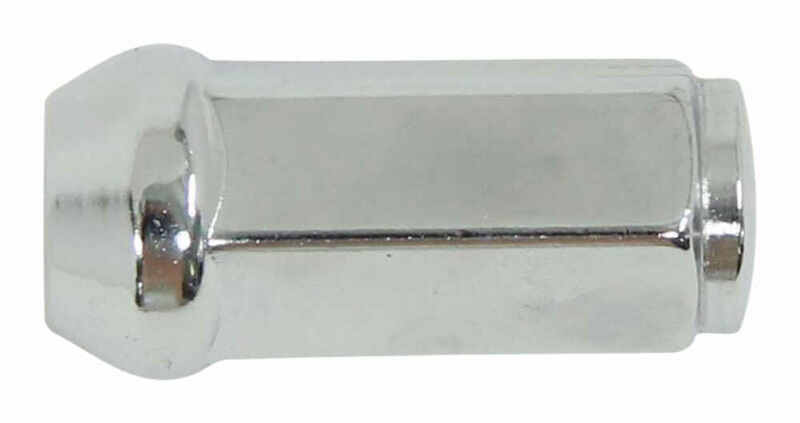 We also have the Chrome Trailer Wheel Lug Nut, # 12CLN-L, which is 1.882 inches overall length and 1.70 inches deep. You will have to use a thin-walled tool because of the limited space, The # AM90070 lug nut has a 7/8 inch diameter. The # 12CLN lug nut is a small 3/4 inch so # AM90070 would have even less space. But it is longer so you would be able to get a tool on the end of the nut without a special thin-walled tool. You could also use # 12CLN-L. It is not as long as AM90070 but has the same head size. 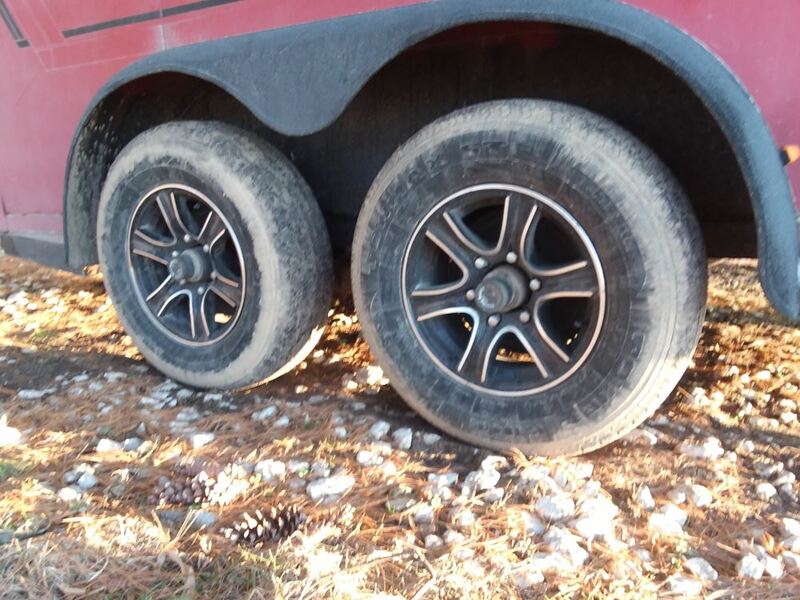 The studs on the hub should be long enough to mount the Amricana wheel # AM22327 but you will need to use longer lug nuts such as # 12CLN-L because regular lug nuts will be too short and it will be difficult to get a socket on them. Must lug nuts have the standard 60 degree cone shape and the end to fit the tapered designed of the holes in the wheel. I spoke our resident tire and wheel expert who said that you will use the regular 60 degree type of lug nuts. I recommend going with the longer ones # 12CLN-L just to ensure that you can easily get a socket or tire tool on them to tighten/loosen them when needed. 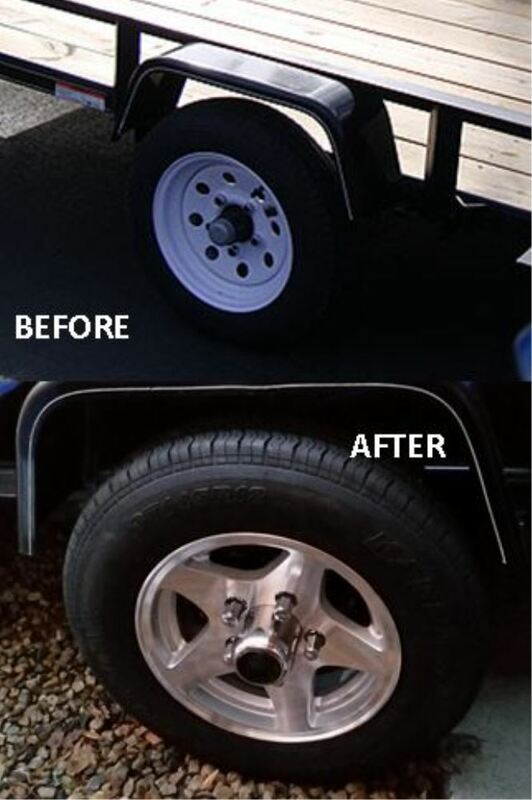 For the Karrier ST205/75R14 Radial Trailer Tire, # AM32151, it does come mounted on the wheel. The manufacturer will have the heavy spot in the tire matched with the light spot in the wheel, so it is balanced in a sense. 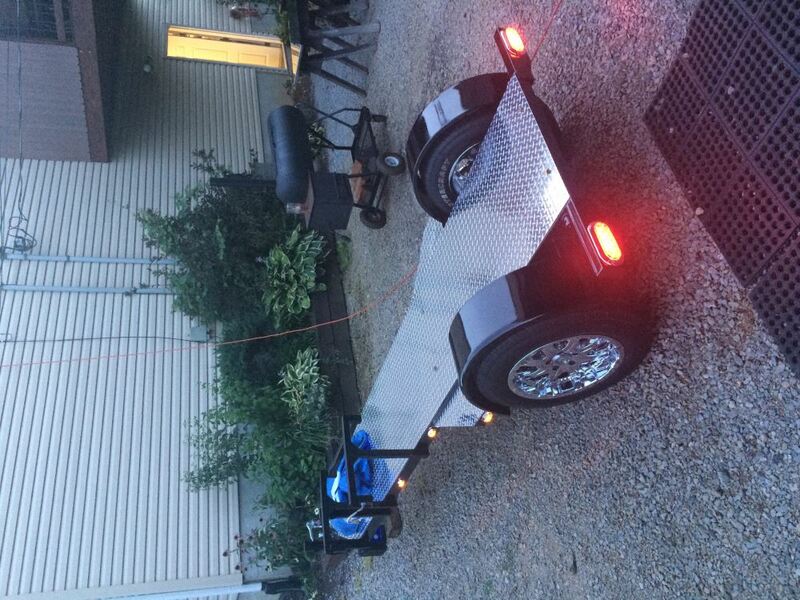 But trailer tires are not balanced like car tires are, basically because they do not have to be. You will need 1/2 inch lug nuts like # 12CLN-L (sold in quantities of 1). Since your old lug nuts were 2 inches long, I recommend using # 12CLN-L which has an overall length of 1-15/16 inches, close enough to call it a 2 inch long lug nut. I do not recommend the use of an impact wrench, not because of the damage like you have experienced but because the lug nuts should be torqued to a specific amount. 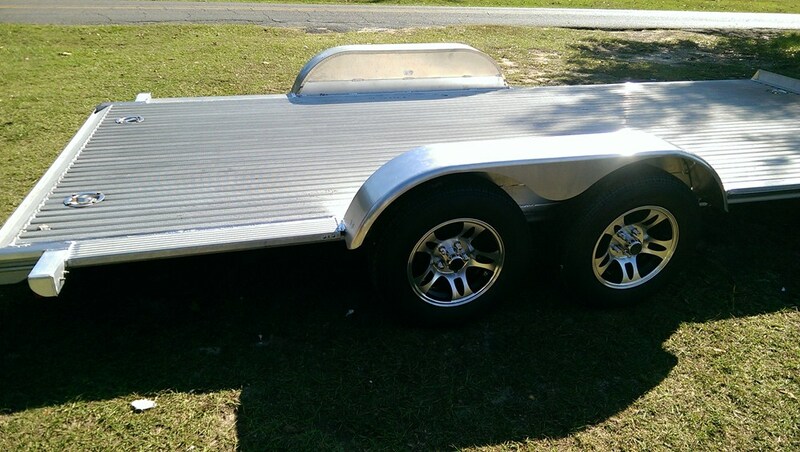 For a 1/2"-20 it should be 75 to 85 foot pounds. 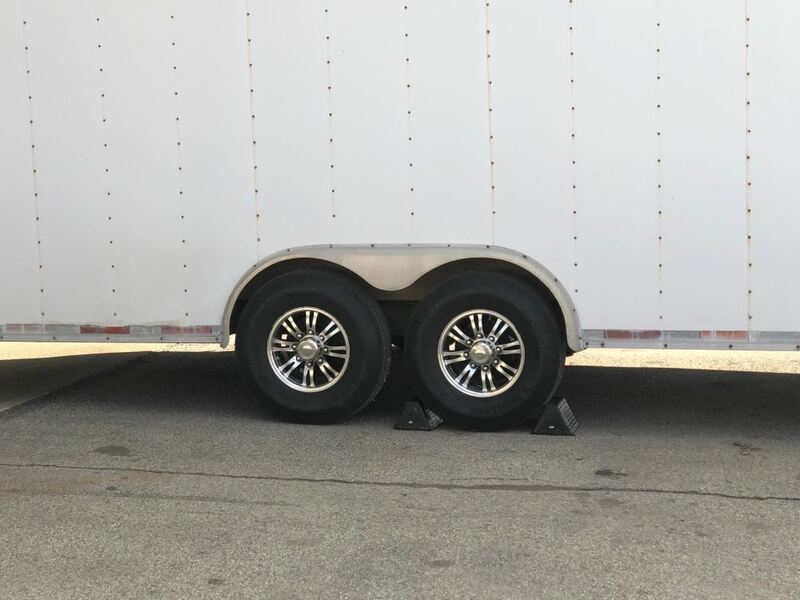 For 15 inch trailer wheels with a 6 bolt pattern you are looking at 1/2"-20 lug nuts such as # CE11051 for a standard lug nut with 60 degree cone. If you have aluminum wheels then you will likely need a longer nut such as # 12CLN-L. The only lug nut we offer that could be removed with a 13/16 socket is part # AM90054. The lug nut is compatible with 1/2 inch wheel studs and has a 20 threads per inch thread pitch, and is 1-1/4 inches long. It's a little shorter than what you said what you were looking for, but it would work for you. It looks like you have a split spoke aluminum wheel that is not unlike the wheels we carry. For the 8-lug wheels that are similar to yours we recommend trailer wheel lug nut # AM90054 which does have the proper 1/2 inch -20 size and the standard 60-degree cone. If you were using flat lug nuts then those are not going to work as well. You could also use the longer lug nut # 12CLN-L if you want because it does have the correct threads and 60 degree cone. 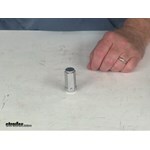 For the 1/2 inch lug nut # 12CLN-L and the 14 inch aluminum wheels you will torque each lug nut to 75 to 85 foot pounds. No lubricant is required. However, since this is on a boat trailer and the hub studs are likely raw steel a little lube would help keep corrosion at bay. There isn't a specific product I would recommend since they all do about the same job. If you need a torque wrench we have # ALL944001 which is a basic torque wrench rated from 10 up to 150 foot pounds.